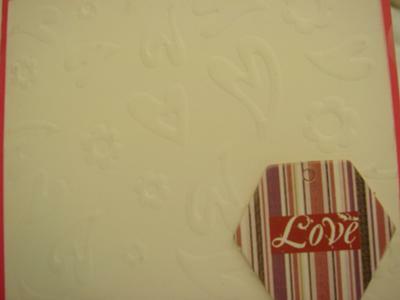 Emboss the white card stock with a Valentine theme – hearts and flowers, for mine. 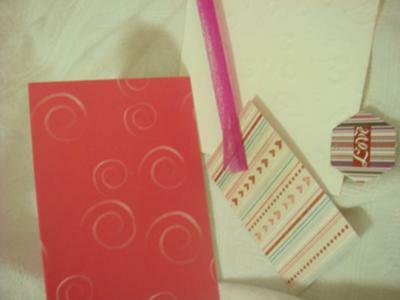 Ink the edges of the white card stock with pink ink to coordinate with the pink base card. Adhere the white card stock on the base card. Overlapping the white card stock, adhere the striped patterned paper at the lower part of the card. Where the two cards meet/overlap, adhere a pink ribbon. 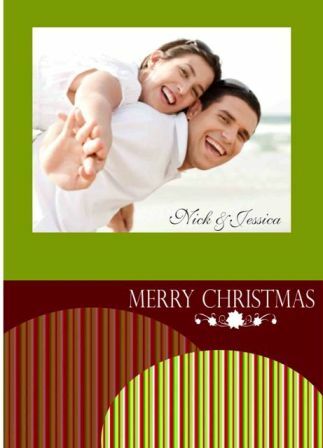 Tuck the ends of the ribbon neatly at the back and inside of the card. 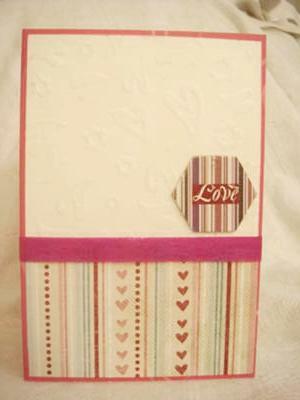 Add the chipboard with sentiment – LOVE to give a finishing touch.